Although technology has changed journalism, fundamentals remain the same – understand your audience. Know your reader was the best advice I was given as a young journalist. Audiences are now consumers – editors must understand this to boost their copy sales across platform. Are your readers commuters consuming content en-route to work or just reading to chill out? Or perhaps they are busy professionals who need information while at work? So how will they consume your content – reading a print copy, or on a tablet, phone, print or laptop? Each requires the content to be adapted in terms of style and layout. Whatever the platform – newspapers or magazines – news will make up a percentage of your content. News must be an integral part of your editorial pillars as it covers all aspects from B2B to lifestyle, travel and events. Need and want is key here. Why? Because business owners and professionals need it while the rest of the population will want it. Both need and want being powerful motivations for consuming content. According to Emily Bell, director of Tow Centre for Digital Journalism at Columbia Journalism School, average people spend 2.4 hours per day on a desktop and about 2.8 on mobile devices. Speaking at a recent news:rewired conference she revealed that one in 10 adults get news on twitter in the States while 41% source it on Facebook. This has resulted in social media companies competing to publish news. Currently with 1.3 billon users worldwide Facebook is the number one platform. In order to keep control of news, publishers must collaborate with social media companies to gain a strong presence on these platforms. ‘So far The New York Times has experimented with WhatsApp and I think that we are likely to see more collaborations in the future as publishers need to gain reach and revenue,’ Emily told delegates. ‘When do 23,000 comments become valuable?’ asked Laura Oliver, head of social and community at The Guardian. The answer? When tapping into potential follow-up stories to an event or news item, which can break into new communities – continuing the life of a story. ‘The Guardian,’ said Laura, ‘picks topics which are not going to go away,’ citing Greece, politics and Ed Snowden. The paper does this by using methods such as live Q&As to extend a story and generate interesting follow-ups or provide new leads. 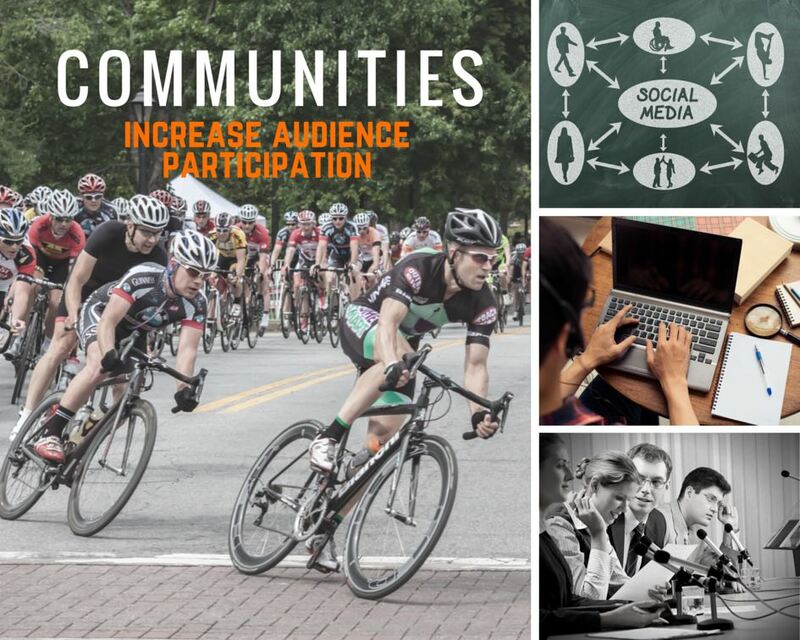 Again as we have seen with social media, community building can be an effective tool in keeping your audience engaged. This is as much subject specific geared around the returning audience as it is with coverage developed by starting a conversation a conversation with your audience to find out what they think. As Laura pointed out building a community is crucial for survival and growth. Research by the Guardian found that when an audience becomes a collective group its reaction to content is more powerful as it becomes engaged on a deeper level. What about the entertainment aspect? No matter how serious the content – a journalist, editor or publisher’s role is primarily to inform, evaluate and entertain the audience. Enter the mobile visual journalist. ‘Can you tell a story in 30 seconds?’ media consultant, Robb Montgomery, asked the audience at news:rewired? This is the limit for Twitter and with trends in mobile storytelling more people are moving to social media. Text is fine but a picture sells a story so with less interactive time, content must engage fast and the best way is on a visual level. According to Robb there are many opportunities to add visual content. Live stream exclusives: short films taking your audience to places they don’t normally go or meet people they wouldn’t expect. Story cards: self-contained, tightly edited story summaries that thrive in the social stream and chat apps. Video collages: short form story promos designed for social media and chat app streams. While mobile storytelling is great for social media it also strengthens your brand. Again it is about knowing your audience and understanding its needs, patterns and lifestyle. Readers are time poor, so are more likely to be on social media consuming short engaging content. And that content needs to be visual. Analysis or comment pieces are more suited to print mediums – and online is a mixture of the two. Editors need to adapt content and publish on the right platform at the right time. Go publish innovative content and build communities to increase sales but remain flexible – and continue to pay attention to your audience. This entry was posted in Audiences - readers & subscribers, Online & social media and tagged magazine sales; audiences; consumers; creating communities; news on social media. Bookmark the permalink.